Sleep apnea can have many causes. A recent study has identified a cause that has a simple solution, and it is as easy as standing up. 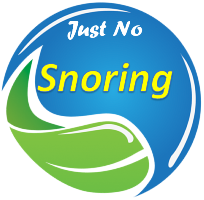 Researchers measured the fluid volume in snorer’s calves and were asked to sit for four hours and tracked their snoring at night. According to the researchers, sitting for a long time results in fluid retention, which redistributes to the neck at sleep, promoting snoring. This can be voided by moving more or standing up. More details click here.